H+ is a philosophy specific to the Hypnosis Training Academy. In a nutshell, H+ refers to the all-important-step of the hypnotist setting the intention to have a successful hypnotic experience, before doing any hypnosis work with a subject. And beyond it being a principle that is taught at our hypnosis training seminars that take place all around the world every year, this act of “intention setting” is something that’s deeply ingrained into everything we do here at the Academy. Which is why when it came to creating this dictionary, we wanted to create a centrally located resource to help you have the most successful and meaningful hypnosis experiences possible. 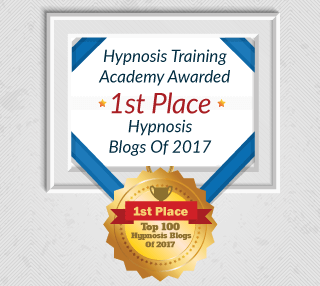 And in addition to it being jam-packed with hypnosis terminology, it also provides useful links that answer some of the most common hypnosis-related questions that you might encounter as a hypnotist or hypnotherapist. 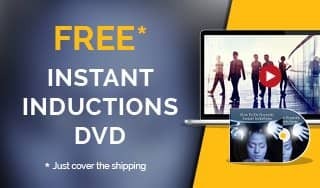 So please feel free to share these resources with your subjects, friends and family – and continue to spread the power of hypnosis with the world! And if there are any additional terms you’d like us to add to this dictionary, just jot them down in the comments section below. An abreaction is a strong release of negative emotion when working with a subject during hypnosis. While quite rare, it’s important to know how to handle spontaneous abreactions. If the abreaction is related to the therapy you are doing – this gives you a chance to clear up some very traumatic material. However, if it is not related, it’s important to learn how to quickly deal with it, without causing the subject additional distress. Boiler Plates are a set of steps the hypnotist goes through at the beginning of a session to ensure the safety of their subject during hypnosis, or in a case of an abreaction. For example, the Sounds Around You technique. This is beneficial because during hypnosis, there may be external sounds that might distract your subject. So at the beginning of the session, tell your subject that when or if they hear external noises, they will fall deeper into hypnosis. This means moving a subject from that part of their conscious mind that tends to automatically reject change and new ideas, into their unconscious mind – which is open to new ideas and change. The Critical Factor is a little like a “guardian at the gate” in the sense that its job is to keep the subject’s life status quo. So for a subject to accept your suggestions during hypnosis, and then for any change work to take place, bypassing the critical factor is essential. The conscious mind is your “waking” mind and is what gives awareness to the things you focus on and helps you make decisions. The conscious mind is thought to be able to deal with between 5-9 bits of information at a time. However, recent research has shown it may be much more limited than this, and only be able to handle 1 or 2 bits of information depending on their complexity. It’s the “here and now” mind that makes decisions, plans, helps you to take action and keeps you safe. Conversational hypnosis is the act of giving a subject’s unconscious mind subtle directions to take a particular action during conversation. For example, using subtle hypnotic cues in conversation to help a friend see a problem in a different light, which in turn helps them overcome this issue. IMPORTANT NOTE: Conversational Hypnosis should only ever be used ethically, and as a force for good in someone’s life. It’s not “mind control” and should never be used to get something you want from someone else. Therefore, in any conversation where a state of hypnosis is induced in your subject, the suggestions you make to their unconscious mind are always in their highest and best interest. 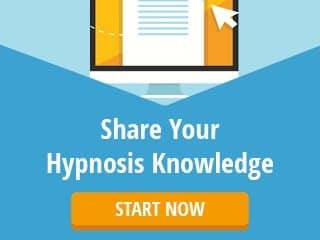 Covert hypnosis refers to the process of communicating with someone’s unconscious mind without them knowing it’s happening, and is the basis of Conversational Hypnosis. This can take place during a regular conversation: with the hypnotist’s aim being to create a positive change in the person’s life so they become happier, healthier, more abundant, more confident and so on. Dynamic Mental Imagery (DMI) is a process similar to guided visualization, but more interactive, where the hypnotist takes their subject on an inner journey to elicit symbols and insights from the unconscious mind that will help their subject in some way. For example, by using the Echo Effect technique. This involves asking your subject what they’re experiencing, and then echoing back their experience, word for word, using the same cadence, tonality, body language and word order. This helps affirm that what they’re experiencing is really happening. This refers to the hypnotist going into trance before the subject, so the subject can then follow them and mimic the right mindset. This is important because as the hypnotist, your verbal and sub-communication sets the emotional tone. So by ensuring your mindset is what you want your subject to duplicate, you’re setting the right kind of environment for hypnosis to take place. This is a term and philosophy that’s unique to the Hypnosis Training Academy. H+ is your desire that your subject has a wonderful and successful hypnotic experience. Whenever you’re going to interact with someone hypnotically, you should have your H+ state of mind active before you begin. This communicates to your subject on a non-verbal level that great things are about to happen. Hypnosis is simply communication with the unconscious mind, rather than the conscious mind. Whenever there is something new to learn, an emotion to be felt, a habitual behavior to be performed, or more data to process than the conscious mind is capable of handling – the unconscious mind takes over. This mind-state change, from conscious to unconscious and back again, happens to everyone naturally all the time – you’re just usually not aware of it. A hypnotist simply uses this natural mind-state change for a specific purpose, generally to help someone create a positive change in their life. Although in Stage Hypnosis, it is usually done for fun and entertainment purposes – of course with the subject’s consent. When a subject is intentionally put into hypnosis, they become highly responsive to the hypnotist’s suggestions. This is because hypnosis is able to bypass the critical part of the conscious mind and work directly with the unconscious mind, which is where deeply ingrained behaviors and beliefs are stored. This is why hypnosis is very effective at treating negative beliefs, fears and phobias, as well as healing and improving performance. Hypnotherapy is the use of hypnosis in a therapeutic setting to help a subject overcome trauma, negative behaviors and emotions, habits, phobias and fears. It can also be used for healing and to enhance performance skills, self-esteem and confidence, in addition to many more things. During hypnotherapy, a trained and certified hypnotherapist will use trance inductions to help a subject enter into a hypnotic trance and access their unconscious mind. It is here (before the subject returns to a normal waking state) that change takes place. A hypnotic theme, or trance theme, are words or groups of words that are trance-like in nature, and are used to help someone go into a trance. The hypnotic theme is a form of unconscious priming that creates an internal suggestion that a trance is occurring. When you use words such as: relax, calm, comfort, focus, drifting, floating, safety or peace – over and over again in a conversation or induction – they naturally prime the person’s unconscious mind to follow these suggestions. Every time you breathe, your body can feel so much more comfortable because you have felt comfortable before, which means that it is so easy for you to focus on my words when you know that relaxation and comfort are pleasant experiences. Hypermnesia is one of 3 types of memory that you experience. It is the clear recall of a memory, something that you experienced, but is remembered in detail only, detached from any emotions. It does not contain the emotional components of the second type of memory, a revivification, where you can remember the memory clearly and feel the emotions from that memory again. Nor is it the total re-experiencing of the memory as if you were actually there again, seeing, hearing, smelling, feeling and responding at the age the memory happened – which happens in the third type of memory, a regression. This is the process that’s used to put someone into a trance so hypnosis can take place at the unconscious level (and as a result of bypassing the critical factor). There are different types of inductions, such as the Instant Induction and Dynamic Mental Imagery Induction, that can be used depending on what the hypnotist finds most effective and appropriate for the subject. This is a type of induction that works on the premise of shock or surprise. This is because a shock to the amygdala in the brain causes the subject’s conscious mind to be temporarily overloaded so that the unconscious mind has to take over. This then allows a brief window of opportunity where the subject enters a state of intense inner focus, making their unconscious mind highly responsive to the hypnotist’s suggestions. This term is used to describe the process of layering and building on hypnotic suggestions so they become reinforced in the unconscious mind. The more suggestions you as the hypnotist give someone, the more you’ll reinforce all the preceding suggestions, and the stronger these suggestions will become. For example: “You’re a non-smoker and you’re happy.” This simple suggestion has more power than meets the eye, because the unconscious thinks: “I am a happy non-smoker.” But then if you then add: “You’re a great person,” it reinforces the fact that they are a non-smoker and that they are happy, and that they’re also a great person! Magic moments take you out of normal reality by creating a dividing line between normal experiences and special, never-to-be-forgotten experiences. Examples of Magic Moments in life could include: getting married, the birth of a child or a career-defining promotion. A Magic Moment in hypnosis is the purposeful creation of an event that will stay with the person forever. This “moment” enters them into a trance of possibilities that takes them out of their normal state of consciousness so that something wonderful can happen. In short, a Magic Moment is a hypnotic experience and a gift to the person receiving it. A metaphor is the comparison of a word or phrase to something that it does not actually mean. Metaphors are very common and highly used in language. For example, you might say: “That guy is a real pain in the neck.” The person does not really cause you to have a pain in your neck, it’s just a metaphor comparing someone to the way you feel about them. There are many different types of metaphors used in hypnosis, such as, visual, physical, dead, life, family and story. Mind Bending Language is a specific hypnotic language created to bypass the conscious mind and access the unconscious mind. Used clunkily, this language is obvious and confusing to the brain of the listener. However, when used elegantly and subtly, the use of simple predicates and conjunctions in putting ideas together in different ways does makes sense. This is because they cause the person to think about these ideas as they’re put together in a different way to what they normally would be. So what Mind Bending Language does when used masterfully is suspend someone’s normal thought loop (while sometimes challenging it), and then get them to think more deeply as a result of accessing the unconscious mind. This is because only your unconscious mind has the capacity to look for new meanings to the words and create change. The Non-Awareness Set was created by Dr. Milton Erickson, one of the great pioneers of hypnosis, as a way to induce trance in subjects without them having any idea that it’s happening. The Non-Awareness Set creates a conscious/unconscious dissociation, so that it increases unconscious processes, while leaving less and less attention available for conscious processes. Neuro-Linguistic Programming (NLP) describes the connection between the mind (neuro), language (linguistic), and how they affect your behaviour and body (programming). NLP is a very effective tool in change work because you use specific language to affect neuro-associations and change behavior. The desired end result is that it allows you to replace a subject’s emotional programs that no longer serve them with more empowering ones. There’s an identifiable crossover between NLP techniques and hypnotic processes, which is why when they’re used together, you can experience very powerful results. Unlike Covert Hypnosis, where someone is unaware hypnosis is being used – such as in a conversation – overt hypnosis is where a subject knows they’re about to be hypnotized. The PCAT Formula is a very powerful formula used for dissolving problems, in therapy, during sales and negotiations, and even in personal relationships. In essence, it’s the ultimate power loop that when used well, is unequalled by any other technique for getting to the heart of a problem and basically destroying it. Power words are a term used for simple conjunctions that join ideas together to make communication smooth and hypnotic. Our brain learns through association and repetition, so when you combine ideas, one after the other, while using power words, the ideas become very hypnotic so they can easily bypass someone’s critical factor and be accepted by their unconscious mind. The Pygmalion Effect was the name given to the result of a very interesting psychological phenomena based on studies done in the 1970’s. This study proved that the image and thoughts you hold about another person will match the behavior they exhibit when they’re around you. Therefore, if you expect someone to be difficult to hypnotize, they will. Even better, if you expect someone to be easily hypnotized, they will be. 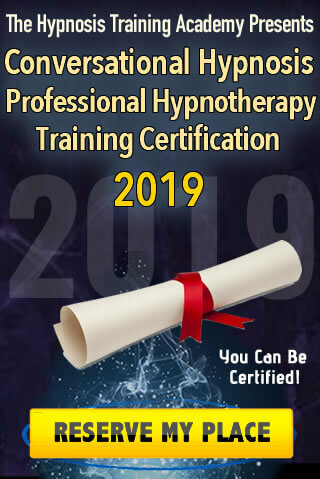 As you increase your hypnotic skills, you can expect someone to be in hypnosis, and they will become hypnotized and you didn’t even need to do anything consciously. Ratification is when you as the hypnotist acknowledge or praise any signs that trance is occurring, which helps to convince the subject, while stabilizing and deepening the trance. Trance novices like the reassurance that they are responding correctly, which helps to increase their confidence and potential response. A revivification of a memory is the ability to remember the experience clearly and also be able to feel what that experience was like emotionally. Unlike hypermnesia – where the memory is clear, but the emotions are detached – a revivification allows someone to experience the emotions, too. The person is still in the present, seeing and feeling the experience, however does not regress. A regression is the third type of memory recall, the first two being hypermnesia and revivification. During a regression, a person will not only remember the memory clearly and experience the emotions, they will actually regress to the age they were at during the memory and re-experience the memory as if they are reliving it at that age. The present does not exist for them. They will generally also be able to hear, touch, smell, and see everything around them during the memory of a particular experience in vivid detail. This is usually used in hypnotherapy to help a subject re-live and discover forgotten experiences that may be causing unhealed emotional wounds and limiting beliefs. For example, a memory of being left alone in a playground as a child may have made the subject feel unloved. But through regression, the subject can be helped to recall their parent’s distraught face before it flooded with tears of joy after finding them safe and well. A memory that they may have forgotten, as the memory of feeling alone, scared and unloved was stronger. As a result, the subject can see that the belief of being unloved wasn’t true, and are now able to let go of this emotional wound. Self-hypnosis is connecting to your unconscious mind through the use of a self-induced hypnotic trance. Rather than having someone else hypnotize you, you hypnotize yourself. After learning how to master self-hypnosis, you can achieve all the same benefits as you would receive through hypnotherapy. The most powerful reason to learn self-hypnosis is to gain access to the potential of your unconscious mind, which is pretty much limitless. So you can then dissolve problems, set and achieve goals, receive new ideas and inventions, improve skills – really, the sky’s the limit. Many artists, writers, composers, inventors and scientists throughout history have created their greatest works using self-hypnosis. Perhaps one of the most well-known forms of hypnosis, stage hypnosis is where hypnosis is performed for entertainment purposes, usually in a stage setting with a big audience. During the show, the hypnotist will call upon members of the audience to take part in the hypnosis show where they’ll be hypnotized to do all kinds of fun things. Similar to Stage Hypnosis, where hypnosis is used for entertainment purposes, street hypnosis takes place in the street, where the hypnotist asks passer-bys whether they want to be hypnotized. Street hypnosis is a great way for hypnotists to build up their skills as they have the chance to practice on many people. The term “subject” is used to describe the person hypnosis is being done to, but in a non-clinical setting. For example, a volunteer in a stage hypnosis show, or someone you’re practising hypnosis on. During hypnosis, a suggestion is a directive given to a subject to carry out before, during or after trance. For example, during hypnosis, the suggestion may be to focus only on the hypnotist’s voice and allow it to take them deeper and deeper into trance. An example of a suggestion after trance, may be the directive that when a subject has the urge to smoke again, they recall the disgusting taste it leaves in their mouth. This then makes them not want to have another cigarette. A trance is the term that’s used to describe the state you enter when your unconscious mind is active, and your normal waking consciousness is bypassed, such as when you go into hypnosis. Trance is a completely natural state, and is something you’ve most probably already experienced while doing something routine – like the dishes – and your mind wanders. Except when you’re hypnotized, this trance state is induced on purpose. Trance is simply another state of consciousness that lies somewhere between being awake and being asleep. The unconscious mind is the aspect of your mind that can process billions of bits of information simultaneously, and is the part of your mind that a hypnotist connects with during hypnosis. It is also responsible for controlling all of your bodily functions, such as keeping your heart beating, brain function, metabolism etc., as well as controlling all of your habitual programs, beliefs and emotions. It is also the untapped reservoir of potentials, ideas and abilities you have yet to experience and is the part of your mind that is capable of making changes in your life. Changing and transforming old, no longer useful programs and concepts you may hold, and allowing you to have different perspectives on people and situations in your life. The unconscious mind is where creativity comes from, so you have the ability as a result of tapping into it, to make your future much brighter than your past.